Here's wishing you the best that 2013 has to offer! Here's to looking forward to more scientific discoveries, medical breakthroughs, and technological triumph this 2013. 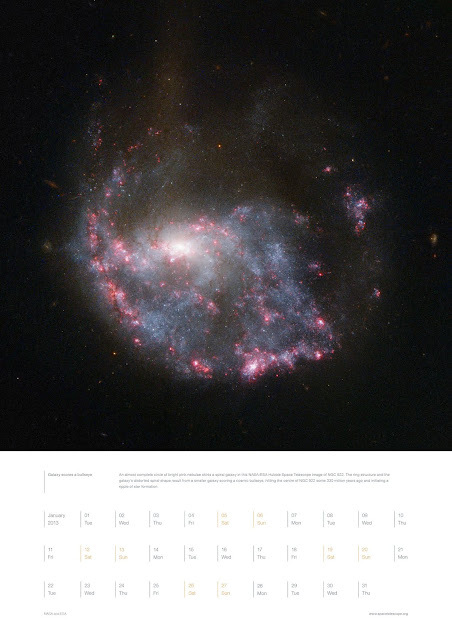 And courtesy of the Hubble Space Telescope, here's the printable Hubble Space Telescope 2013 Calendar! Enjoy and hope you have enough black ink to print them all!